Our Kickstarter is live and will run for 30 days. A digital backer level giving you easy access to 600+ pages of full colored rules. A budget level for a softcover black & white version of which you can print as many copies as you like (but you pay the costs for printing and shipping so that we can offer the best possible price). Something inbetween (hardcover B&W, printed and shipped at cost). 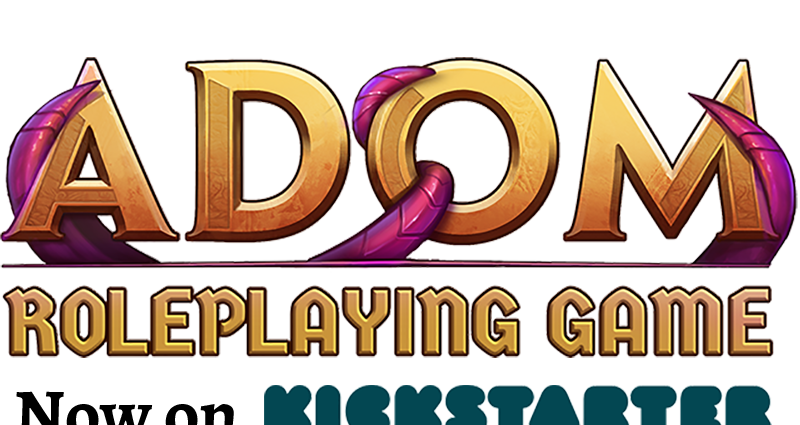 And several true fan backer levels if you truly want to support ADOM and the ADOM RPG and don’t mind the cost to immortalize yourself by inventing artifacts or even designing a faction that will be part of the ADOM RPG and Ultimate ADOM! And you can get Thomas Biskup to travel to your place and GM ADOM RPG sessions for a full week if you want that! Enjoy! We value you support and are grateful for sharing the campaign! Previous Post: Kickstarter is coming!